With a ski area culminating at 3450m above sea level at the glacier de la Grande Motte, Tignes&Val d’Isère is one of the highest winter sport resorts and among the largest and world class ski resorts. It is a fantastic encompassing 3 mountains and 2 valleys with more than 300km of perfectly connected pisted runs spread across 10.000 hectares. Open from the end of November till the first week of May, the Tignes&Val d’Isère ski area is a huge and snow sure playground, considered with good reason as the most beautiful ski area in the world. The ski area offers an impressive and extensive choice of different pisted runs adapted to all skills, from the very beginner to the most advanced level. Thanks to 156 prepared slopes totaling 300km, everyone will find the slopes that best suit their style and level of competency. The 90 lifts spread across the ski area will quickly and comfortably bring all the skiers and boarders into the different parts of the ski area. Beginners will first learn the skiing basics on the slopes located at the “Rond point des pistes” at the bottom of the Grande Motte funicular in Val Claret. After 1 or 2 days they will get more confident and will be able to go down the blue slopes of the Tufs/Bolin/Fresse area in Val Claret and will at the end of the week be probably ready to go down the blue slopes at the top of the Grande Motte funicular. Intermediate skiers/boarders will have a wide choice, given the numerous possibilities whether on the blue or red slopes of the Tignes&Val d’Isère ski area. The advanced skiers and boarders will enjoy the wide choice of challenging slopes of the Tignes&Val d’Isère ski area and might also be inclined to get off the pistes given the great number of off piste routes. With its numerous off piste routes and regular slopes that lead to Tignes and Val d’Isère through forests and villages, but also with its powder and wide open slopes, the Tignes&Val d’Isère ski area is the right place for passionate and fanatic skiers and boarders. The most advanced will even be eager to try going down the famous Rocher de Bellevarde olympic track, which is now open to public, unless they prefer the bumpy tracks on the massif de Solaise, or the skicanyoning routes of the Gorges de Malpasset. On top of the pisted runs of the Tignes&Val d’Isère ski area, there are also 6 slalom parks, 1 bump park, 2 snow parks and 1 gliss’park available for those who are eager for even more! With your 5 day and more Tignes&Val d’Isère lift pass, you will of course get access to the entire Tignes and Val d’Isère ski areas (ie 300 km of pisted runs) but you will also without any supplement get access to the 3 Vallées ski area (Courchevel+Méribel+Val Thorens+les Ménuires, ie 600 km of pisted runs) for one day and the Paradiski ski area (les Arcs+la Plagne, ie 425 km of pisted runs) also for one day, which means a global access to 3 of the best ski areas in the world and to 1,325 km of pisted runs. Isn’t it incredible? Although we know that the skiing and boarding possibilities on and off the pistes in the Tignes &Val d’Isère ski area are almost infinite, we believed it was useful to bring this opportunity to your attention. To take advantage of this offer the day spent in the other ski area must be in the period of validity of your lift pass and you must collect a countermark from a lift company cash desk in Tignes that will be valid in the other ski area. With this unique opportunity, no other gay ski week worldwide will offer you so much skiing and boarding than the European Snow Pride! This opportunity is not only theoretical. The relatively short distance between the resorts mentionned above and Tignes make it possible to explore the other ski areas without having to spend to much time on the road. Les Arcs is the closest resort to Tignes: shuttle bus or drive to Bourg-Saint-Maurice train station (30 km) and then access to les Arcs within 7 minutes from the funicular at the Bourg Saint Maurice train station. 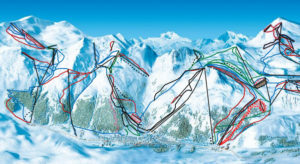 Courchevel is the closest 3 Vallées resort to Tignes. The distance to Courchevel is 80 km and it will take you about 1 hour and 30 minutes to reach Courchevel. How can this opportunity be used? Example 1: You can for instance book a 7 day Tignes &Val d’Isère lift pass. 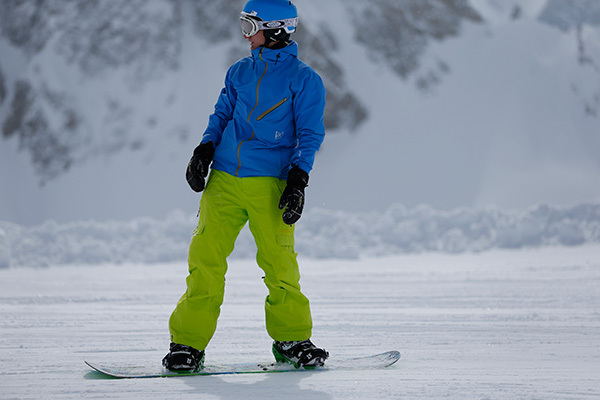 You ski 6 days in the Tignes &Val d’Isère ski area ski area during the European Snow Pride, from Sunday to Friday. Then on the last Saturday when you leave Tignes, you can benefit a last day of skiing (the 7th day of your lift pass) in one of the other resorts mentionned above. Example 2: During the European Snow Pride, our ski guides will propose to you a day trip in one of the above mentionned ski resorts and areas. The trip will take place if enough people in your group are interested in (transfer costs to reach the other resorts at your expense). Check out our 5 to 8 day Lift Pass & Event Pass packages. 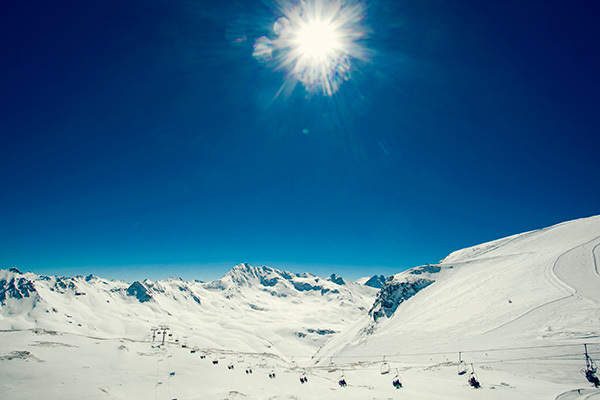 Our Lift Passes give access to the entire Tignes& Val d’Isère ski area. Check out the resort and the snow conditions, thanks to 6 high resolution and 360° webcams !